Thanks to Sammie for this baby sling sewing pattern tutorial today! With summer in full swing, my family loves to be in the water to keep cool! We have a new addition to our family this year but didn’t want that to keep us from enjoying some summer sun in the water. 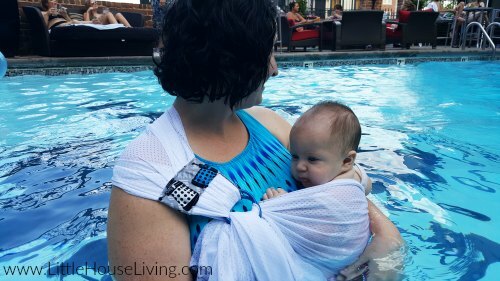 Baby wearing has been something we have really jumped into with this baby, and I wanted to continue to do that in the water too. As a result, we ended up using a mesh wrap, and they’re so easy to make! 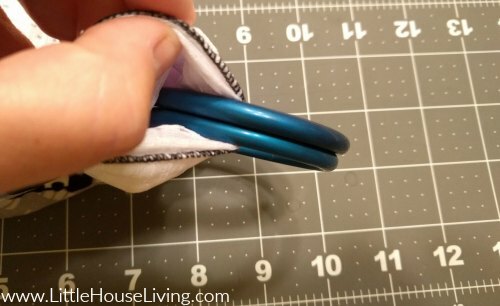 If you can sew a straight line, i promise you can make your own mesh wrap! The first step is arduous. If you can make it through this first, and longest step, the rest will take you no time at all. 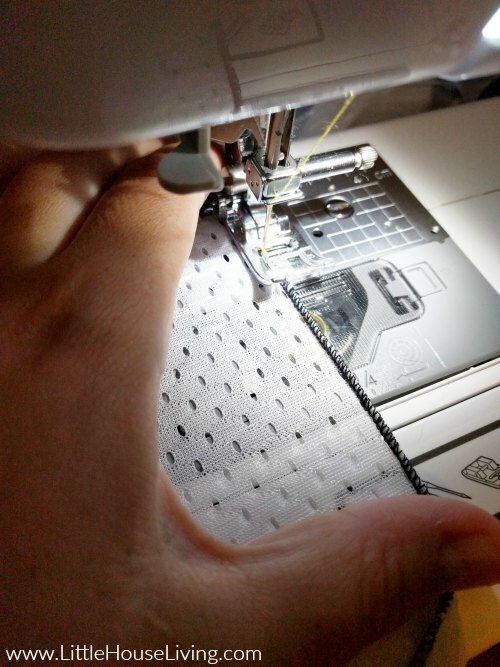 Set your sewing machine to a zig-zag stitch (We recommend the Brother Feature-Rich Sewing Machine), and set it on a narrow setting. This will make sure your zig zag isn’t too wide. 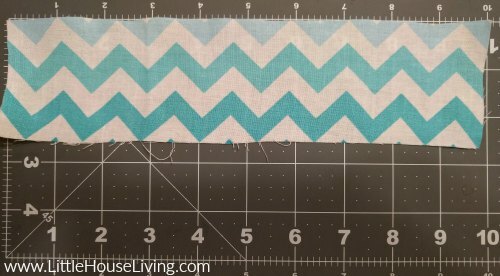 This is easier on a serger, but if you don’t have one, a zig zag stitch is fine. 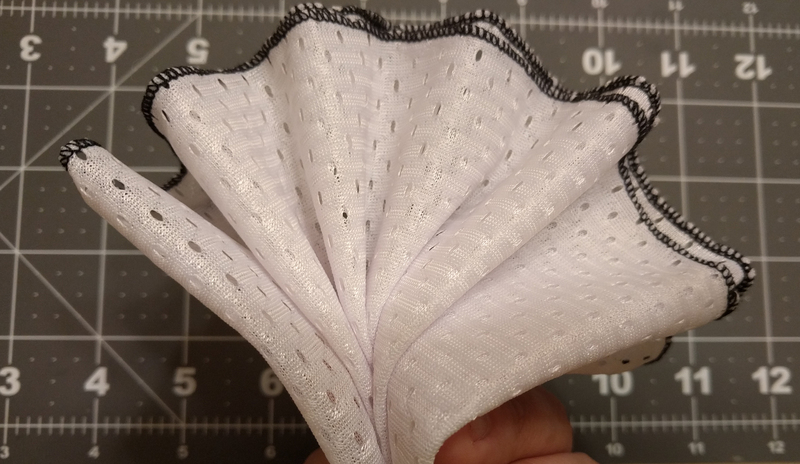 Finish all the way around your mesh fabric. Since the fabric is 7 feet long, this will take you some time, but it will be worth it to make sure your fabric doesn’t fray easily and wear out as quickly. Once you have finished that step, you will need to choose the material you want to be your accent piece. This piece serves as a fun pop of color to your wrap, as well as serving as a way to secure your rings in place and hide the folded over mesh section of the wrap. Once you have chosen your fabric. cut out a 10″ long by 3″ wide piece. You can go as wide as 5″ if you’d like, but I prefer 3″. Iron about 1/4″ of the long edges of your cotton down flat. This will give your accent piece a finished look. Fan fold the last 6 inches of your wrap. Fan folding is simple. Fold your wrap in half long ways, with the finished edges to each other. Fold the finished edges toward the folded edge about an inch, then back and forth, and back and forth until the end of your wrap looks like this. Tuck the fan fold through both of the metal sling rings. Pin the cotton fabric around the section you just pulled through the rings, making sure to cover the edges of the mesh with the cotton. Tuck an inch of the end of the cotton fabric over, and then pin all the way around to sew it all together. Straight stitch around the top and bottom of the fabric band. Go slow when you stick this part, as you will be sewing through quite a bit of fabric at once, since you will be sewing through two layers of mesh, and the cotton. Once you’ve finished that step, you’re all done! It’s actually a very simple project if you can make yourself sit for long enough to finish the edge of all the mesh! 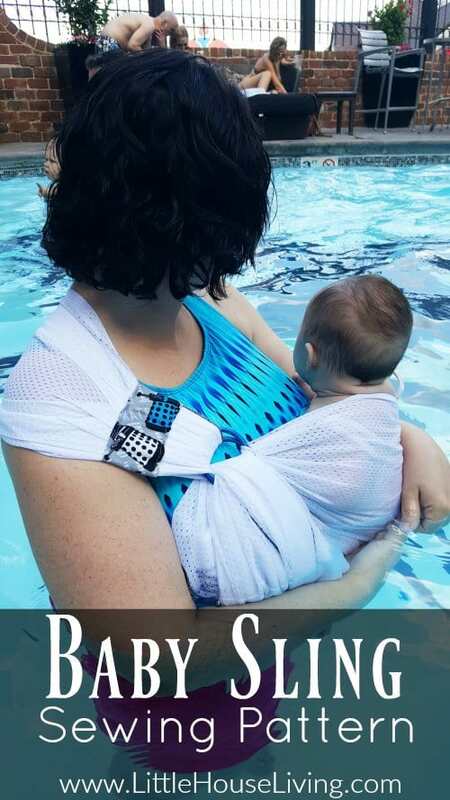 Enjoy your summer in the water with your baby with this easy baby sling sewing pattern! 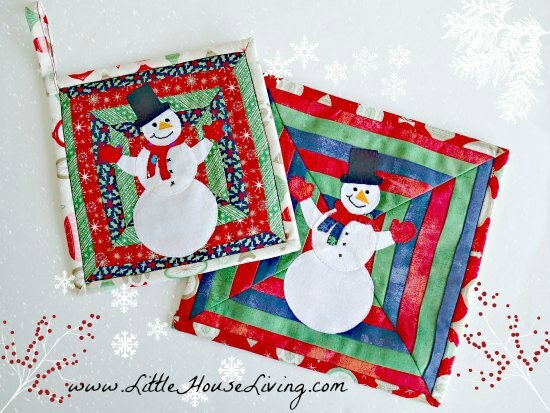 Check out all of the frugal, simple Sewing Projects that we have on Little House Living. 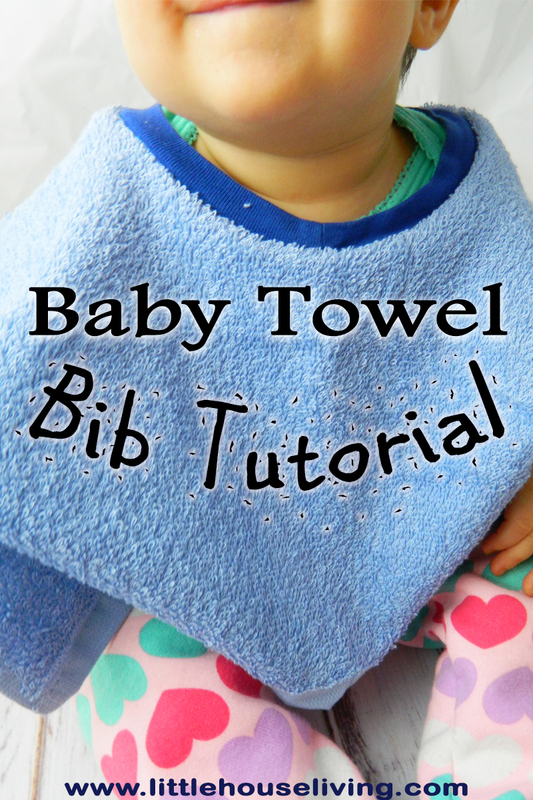 What do you think of this baby sling sewing pattern? Will you give it a try? My name is Sammie Brakebill. I am a mother and a wife and I love both of those jobs! I enjoy homeschooling my two little girls, natural living, working with my hands, traveling, and being alive! 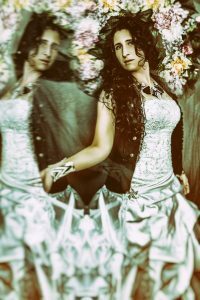 I am following you from Party Palooka. 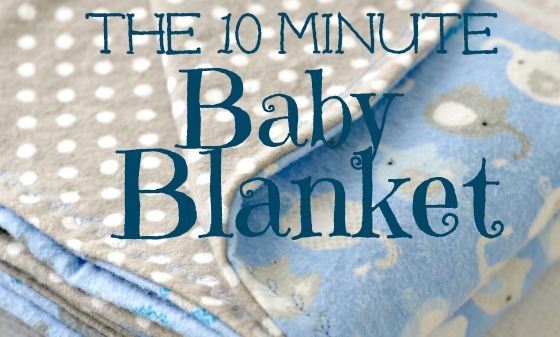 This is such a great project for a new mom who is anxious to get in the water again. I love this. I have saved this to my Baby Board. Thanks for sharing at the Inspiration Spotlight party. Shared.